Not seeing results in the gym? Maybe it's time to hire a personal trainer. Working out all the time but not seeing results? Maybe it’s time to hire a personal trainer. If your trips to the gym aren’t producing results, is it time to consider hiring a personal trainer? Viewed by some as a luxury item only few can afford, personal trainers can actually be a cost-effective way to ensure you’re getting the most from your workouts. Today’s show uncovers the reasons why a personal trainer might be a good choice and more importantly, what to look for in a personal trainer. To end the show I’m giving a quick update on my own family’s cord cutting experience as follow up to last week’s Cord Cutting Episode. If you’ve had a good experience with a personal trainer, have cut the cord OR have any feedback from a recent episode, I WANT TO HEAR FROM YOU! Please tag or message me on social media (Instagram, Twitter or Facebook) or email me at regan@thisunmillenniallife.com. 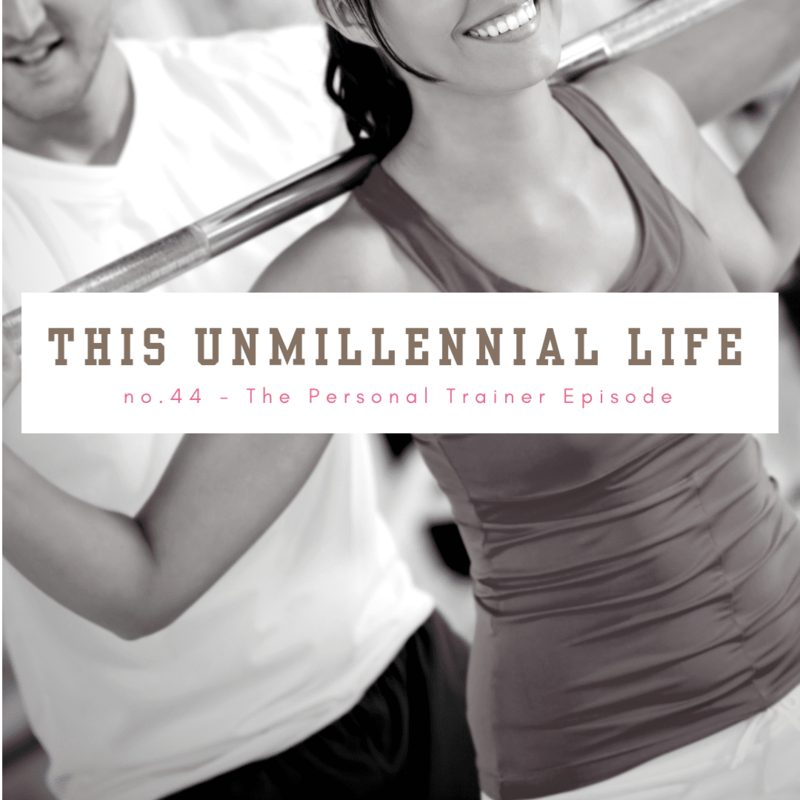 You’re also always invited to join the This Unmillennial Life Facebook Group or connect by leaving me a voicemail.